EDeQUAL partners with schools that educate students from low income families. With “EDeQUAL Inside”, students benefit from a tech-enabled world class learning experience at an affordable cost. The cost to deploy EDeQUAL is only Rs 110 per student per month for either Math or Science. Our partner schools, most of whom are supported by voluntary donations, pay us what they are able to afford. We help them to raise the remaining funds from donors like you. EDeQUAL partners with schools that educate students from low income families. These students cannot afford a high quality private education. Therefore our partner schools have chosen EDeQUAL’s comprehensive blended learning solution in Mathematics and Science – which is fully aligned to national curriculum requirements – to give their students an excellent learning experience. 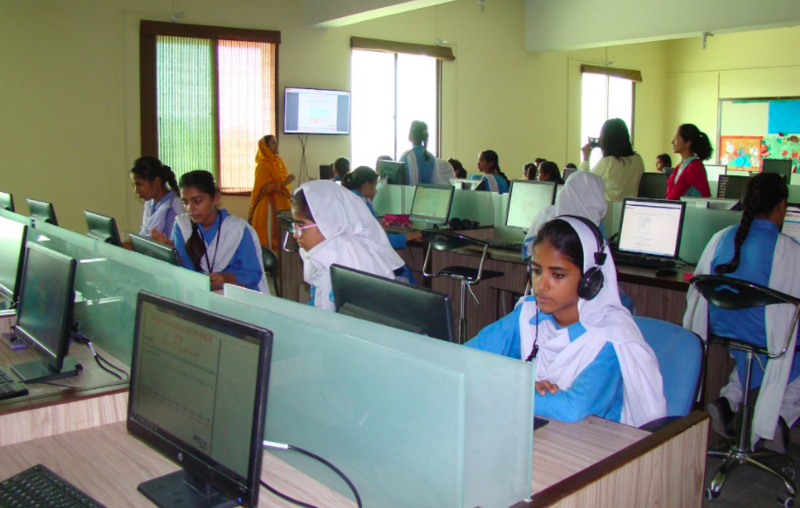 Our partner schools are at the forefront of using technology to enable their students to learn better, faster. With “EDeQUAL Inside”, their students can benefit from a tech-enabled world class learning experience at an affordable cost. The cost to deploy EDeQUAL is low, at less than $1 per student per month. This small amount helps to defray our product development and deployment costs, and enables us to reach more low income students across Pakistan. For our partner schools, most of whom are supported by voluntary donations and not by student fees, even this additional cost can be prohibitive when they have hundreds of students who need to benefit from EDeQUAL. We therefore ask schools to pay what they are able to afford, and help them to raise the remaining funds from donors. Our solution is currently used by students in classes 3, 4, 5, 6 and 7. These girls and boys, between the ages of 8 and 13 years, are at a critical stage in their learning journeys. An excellent educational intervention at a young age can mean the difference between a child that continues to learn and one that drops out after a poor quality primary school experience. You can help a child and their family make the right choice at this critical turning point. Please consider supporting a quality education with EDeQUAL for students in one or more of our partner schools today.